Where has our morality gone? A few weeks back I was watching my favorite sport, Major League Baseball, on television when a foul ball was struck by the batter into the right field stands. The right fielder on my â€œnot-so-favoriteâ€ team these days, drifted over to attempt the catch. The ball barely made it into the stands and suddenly, a fan and his son who were merely minding their own business while watching the game were thrust into controversy. It seems the man, we will later find out, was simply trying to enjoy a baseball game with his son and give him a father-and-son experience that most young boys savor when they are ten years old. Anyway, back to the ball going into the standsâ€¦Â As luck would have it the ball came closer and closer to this man and his unsuspecting son. The man looked up, as all the other fans in the ballpark did, and he noticed the ball heading directly for his 10-year-old son who was standing by his side.Â As we all would do, the man tuned out the rest of the world (about forty thousand screaming fans).Â He raised his arms in expectation of catching this little white prize falling out of the sky directly toward his naÃ¯ve offspring. Unexpectedly, a big baseball glove entered his field of vision and hence the controversy began. It seems the competitive right fielder decided to reach into the stands to try to catch the ball. Nothing wrong with that you say?Â Well on the surface I tend to agree, except for what ensued after the catch was attempted. As you may have already guessed the right fielder and the man collided in their attempts to capture the soaring white object. This is where the story takes an ugly turn. It seems the right fielder was so dismayed about not being able to complete his gallant effort that a bit of anger bubbled up. He looked at the man and one can only surmise that he didnâ€™t notice the young boy next to him. Letâ€™s give the player the benefit of the doubt and say he did NOT observe the father-son team. The player, in venting his frustration at having not caught the ball, suddenly let a (no pun intended) foul expletive fly. â€œGet the F_ _ _ out of the way,â€ exclaimed the right fielder, directing his anger at the perplexed dad. What happened next is rather disconcerting to say the least. The player walked away in disgust, shaking his head in frustration. The dad threw his arms up in embarrassment, and the son sat down, looking as if he wished he could hide, he was so obviously embarrassed. Now the crowd started to get into the act. Many people started booing the poor man and jeering at him and his son. Letâ€™s forget the fact that this play had no immediate effect on the game and would not affect the eventual outcome either. Of course there was no way for the right fielder and the ignorant fans to know that at the time, so many decided to chastise a poor man who was just trying to have a nice outing with his son. Letâ€™s try and forget the ignorant fans for a moment. They have the right to act like immature and ignorant idiots, correct? After all they paid for their tickets and certainly have the right to act any way they like. Letâ€™s concentrate on the right fielder and examine his moral obligation as a professional athlete. Ok, Iâ€™ll give him the benefit of the doubt and say he lost his temper in the heat of a competitive moment. Once this happened though, does he have an obligation to offer an apology? Consider who may have been affected by his deplorable action! Obviously the man involved was made to feel like less of a man in the eyes of his son and to the fans around him. Possibly other children heard the expletive and were affected as well. Does this player have any values or morals? Did he return to the man and his boy and offer them an apology or a peace offering, like an offer to sign a ball and present it to the young boy to make things right? I would suggest that this player isnâ€™t really a professional at all nor does he appear to be much of a man. Actually, to this observer, the player appears to be an immature jerk. Is he so caught up in his own career aspirations and professional frustrations that he chooses to ignore societal norms?Â Whereâ€™s the public outcry to demand that this player â€œright his wrongâ€ and offer an apology to the fans in general? In my humble opinion he is not only obligated to offer an apology, he should also sensor himself with some sort of self-imposed penalty.Â Maybe contact the father and son and offer them tickets to be his guest at a future game. Show the world that he takes his professional career and child role-model status seriously. And what about those fans who thought it either funny or serious to chastise the father? Most of us have done stupid things weâ€™d take back in a minute after having the time to ponder them. Personally, when thatâ€™s happened for me, Iâ€™ve learned that I owe an apology to those Iâ€™ve affected. Iâ€™m not one to preach, Iâ€™m simply one that has learned from my own mistakes and understands the damage oneâ€™s actions can have. I think the behavior this baseball player and many fans demonstrated during this incident has become all too common in our world today. Could some good old fashioned values and morals be revisited, even promoted, as a way to fix what has become wrong in our lives today? As a side note to this story, the man was contacted by a popular local radio sports talk show to be interviewed because this story had become a national media event. It was explained by the talk show host that in conversation with the man before doing the live interview, he learned the dad was somewhat shy and didnâ€™t really feel comfortable with all the media attention and scrutiny, but despite this had agreed to do the interview anyway.Â The man was clearly humbled by the experience. He went on to explain that as a season ticket holder, he was upset that this event would impact future games that he and his son would attend and possibly feel strange around other season ticket holders in his section. Is this fair? Again doesnâ€™t the ball player have some obligation to right this wrong? For that matter doesnâ€™t the team have a sense of obligation to appreciate this innocent fan? Shouldnâ€™t the team feel a desire to talk to the player, even if strictly from a public relations view, no less a moral one? 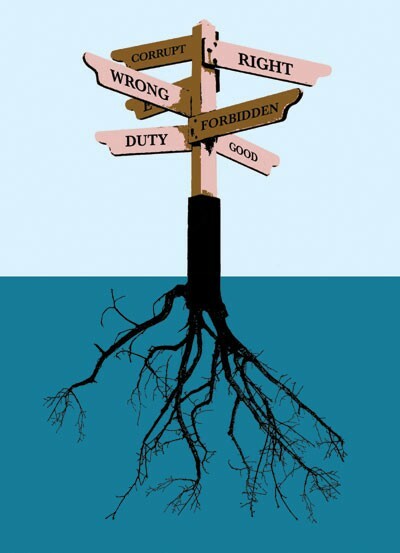 Have we really lost a sense of what is right and wrong in our lives when we simply let this eruptive behavior pass without any sort of reckoning for those who present it? From this writer–Â Â I have lost complete respect for this player and the team for which he plays. What gift do you buy the Regular guy? Men don’t do well with gifts especially when women buy them. Not always but most often true, women don’t get us in life, so picking gifts for us is just nuts. Most of us have everything we want, unless its too expensive to buy, which means we aren’t going to get that as a gift from someone else! So what do you buy for the Regular guy? Probably nothing. Unless you pay attention to what he does in life and especially in his spare time, then nothing works better that a gift card. In closing, perhaps an example of such a tragic gift story would be fitting. This is what happens when, not one, but two women engage in what they believe is the perfect gift for yours truly. 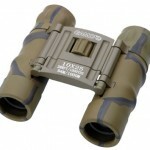 At some time in my past I mentioned that I always wanted a small pair of binoculars. One that I could easily carry, you know, like to the beach to check out bikini clad women ( What? Were you thinking I was going to say for a sporting event!). 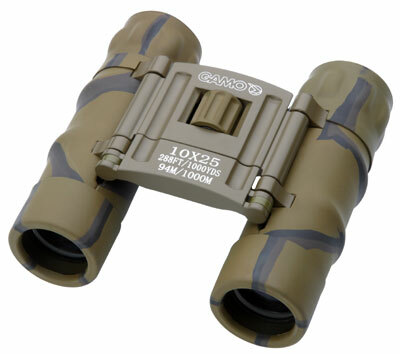 So armed with this information, my wife sets out to buy me the gift I always wanted!Â UNFORTUNATELY, she shopped at a store that a woman she knows owns and this woman proceeded to talk her out of the small pair of binoculars. She instead, thought that a singular monocular would be much better for me. So, that Christmas, I got half the gift I always wanted!! To be honest, in the end I did get my binoculars about two years and three gift occasions later but I figure you get the point. This past year I started a list with details like brand names, model numbers, colors, and even a contact person from which to buy these gifts. Not bad huh? Get to it guys……Merry Christmas! After dropping my card and promising on my last visit to post my review, I have finally found the time to do so. After some 20 years of eating at Bill’s diner, I guess its about time I posted why I have been such a fan of his place for so long. How about a list. Yes, just like David Letterman’s top ten list. 10. Location. At the north tip of Long Beach Island and tucked away from everyone except the local faithfuls and summer tourists. 9. The smell of the salt air and nearby bay make it pleasurable even when waiting during the summer months for a table. 8. The tables in the back room are the coolest. Its like eating in your grandma’s back porch when everyone else has to eat at the kitchen table. 7. The menus on the wall and in your hand offer too many choices that make it too damn hard to decide what to order. 6. The waitresses are the best, the friendliest and the prettiest on the island and the serve up the food faster than you can finish your first cup of coffee. 5. The coffee cup is ALWAYS full. 4. Everything tastes like it was just made, which is exactly how it should be. 3. The kitchen staff has worked together for many, many years and they always serve the food the same way, everyday, which is the hardest thing to accomplish in the restaurant business. CONSISTANCY!!!! 2. 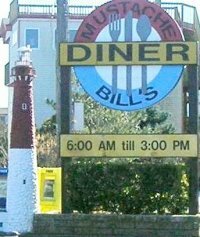 The diner is a landmark ( or should be) and no one else on LBI received a visit from Guy Fieri, of my favorite food show, Diners, Drive-ins and Dives. Hats off to you Bill!! 1. Mustache Bill’s omelets and pancakes are quite simply the BEST on LBI and the surrounding area. I have my own omelet which should have a name by now since Vinny and I perfected its makeup some three or four years ago…We start with the Potato Skin omelet which has potatoes, scallions, bacon and cheddar cheese and then we ask for HOT peppers to be added. Dress it up with salsa, sour cream and a short stack of ‘cakes and the next meal you can expect to want is dinner. Bill has perfected the omelet and no where will you find one that is fluffier and filled better. You can expect only the best when you visit Mustache Bill’s so get up early, put the top down and head over to LBI and enjoy the best breakfast this area has to offer.